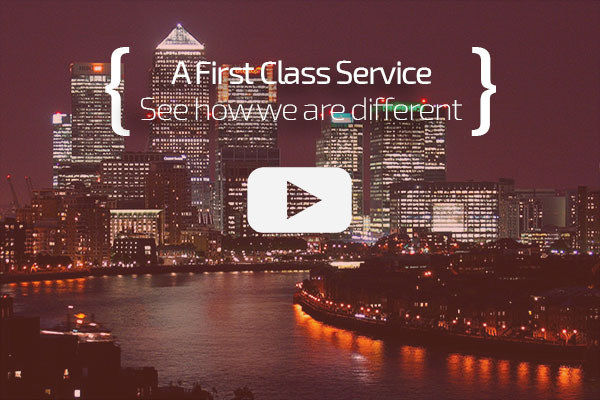 At First Class Accounting we can get you started quickly and easily. We will support through the process and get you set up in no time. We know that starting off can be a daunting time but we’re always here to support you. We’ll help you every step of the way and get you up and running in no time. We assist you with forming a company, setting up a bank account and getting the necessary business insurance in place. We’ll also do a full tax planning session with you a the outset to make sure you’re trading tax-efficiently from day one and you’re comfortable. Please click on the above options if you’d like to find out more. If you already have an accountant please don’t be concerned about the hassle in switching over to us. Just let your accountant know and we’ll do all the rest for you. The steps to getting going with us are very straightforward and we’ll get you set up quickly and easily. So why not sign up today and get the support you deserve? Having signed up with us one of the first things we’ll do is arrange an initial tax planning session. During this session we’ll go through core accounting & tax issues to make sure you’re comfortable with what’s required to operate tax-efficiently. We’ll look areas such as what structure you adopt, how to pay yourself a salary and dividend, what expenses you should claim and how to maximise your take-home income. A guiding principle is to make sure that you never pay too much tax whether that’s personal, corporate or PAYE. As part of this you can count on rigorous analysis and discussion of your specific circumstances. A professionally qualified tax expert will provide this tax planning but we’ll make sure we communicate in a way that’s accessible and easy to understand. Once you get going with us we’ll organise regular, scheduled tax planning sessions to make sure that you continue to operate tax-efficiently and maximize your income. We offer a free, no-obligation tax planning session so if you’re wondering how much tax you could save why not get in touch and see how we can help? For the majority of clients setting up a limited company will be the most tax-efficient option. As well as saving tax limited companies allow their owners to reduce their risk and liabilities (to funds in the company) and offer the potential to grow an asset of value over time. At First Class Accounting we can help deal with the administration and running which are often seen as the main downsides to setting up and operating via a limited company. There are a number of factors to consider including IR35 when deciding on company structure. Please get in touch with us and we can help you come to the right decision based on your circumstances. We can set up a company for you and usually have your new company set up within a few hours. We charge £75+VAT for company formation and complete all necessary steps for you. Please contact us if you’d like to discuss what structure is right for you or if you’d like to set up a company for you. Having set up a company one of the next things you’ll need to do is set up a business bank account. We can help to expedite this for you. In deciding on which bank to go with look for one that offers: online & phone banking, interest-bearing accounts, free banking and a company credit card. Shop around for the best deal and dont just settle for your existing high street bank. You might find that the best deals on the Internet or from non-high-street banks. Whoever you do end up using please ensure they have good online banking – this is very helpful in giving you instant visibility and letting you keep track of expenses and outgoings. For advice or assistance on setting up a bank account please get in touch today. As a contractor or small business owner you’ll need to make sure you have the necessary insurances in place to cover yourself. The main kinds of insurance you’ll need to put in place are professional indemnity insurance, business insurance and income protection. At First Class Accounting we take you through all the types of insurance you need and help you to get the best deal. We work with some of the leading specialist insurers in the market and can negotiate preferential deals for our clients. Everyone will have different requirements with regard to the insurance. Please contact us to discuss your specific needs or to get our help in getting the necessary cover in place.